Cincinnati raised him, Chicago made him. 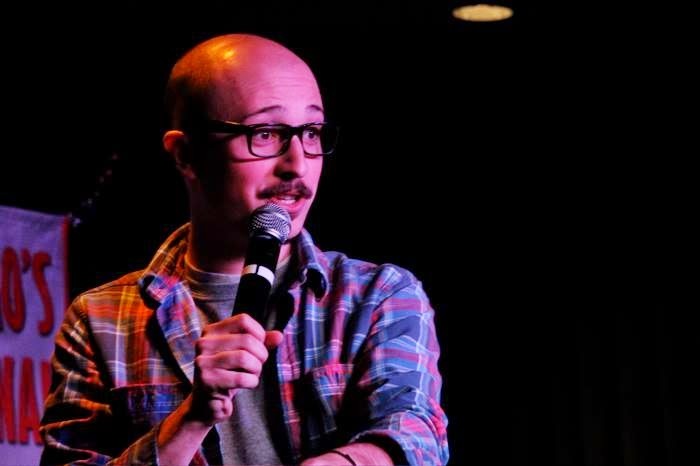 Alex Stone has become one of the most impressive young storytellers in comedy. He was one of the top 100 comics selected for season 8 of NBC's Last Comic Standing. Alex was also invited to preform at the prestigious Just For Laughs comedy festival in Montreal for their New Faces of Comedy showcase. 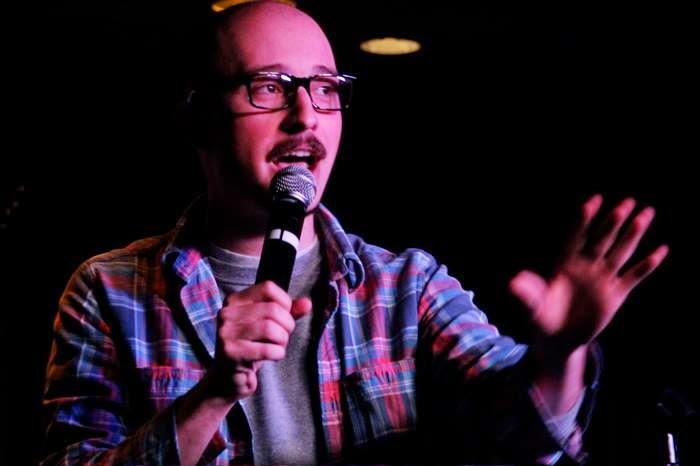 He has also appeared at the Limestone Comedy Festival in Indiana, as well as being selected in the 2013 Best of the Midwest competition at Gilda's LaughFest in Michigan. 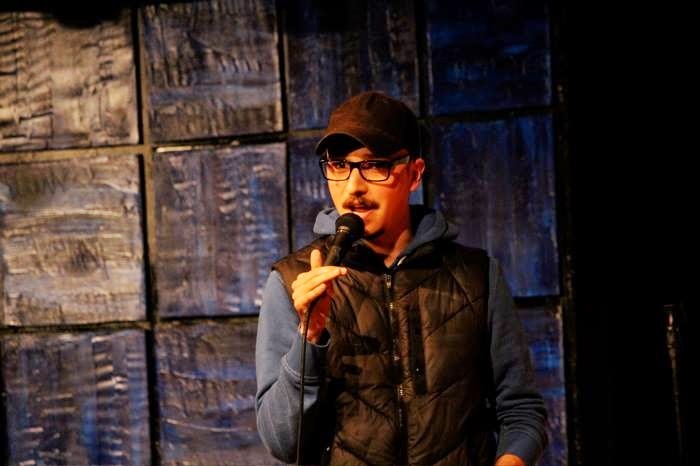 He is a regular at the Chicago Laugh Factory who just released his debut album, Hello. 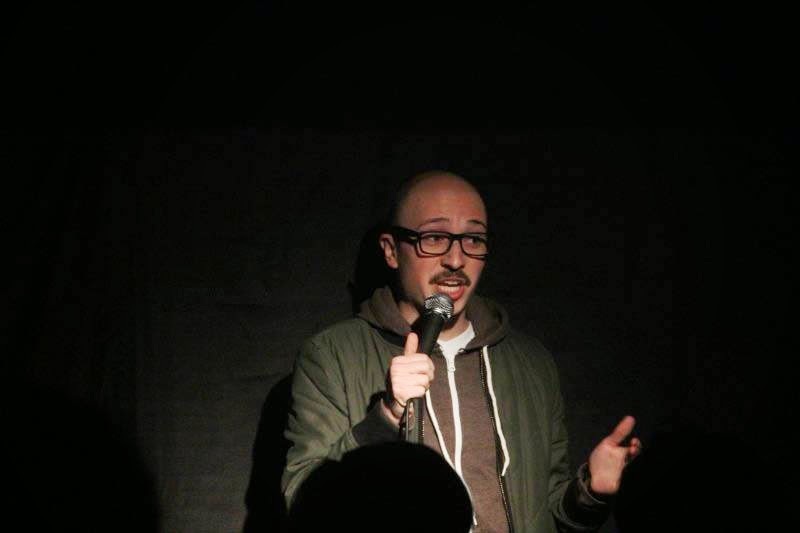 In this interview we discuss his experience on Last Comic Standing, along with advice about writing and being a better comic. You came from Cincinnati. How much time did you spend in Chicago before moving to New York? Just a couple weeks under 2 years. Why such a short time in Chicago? 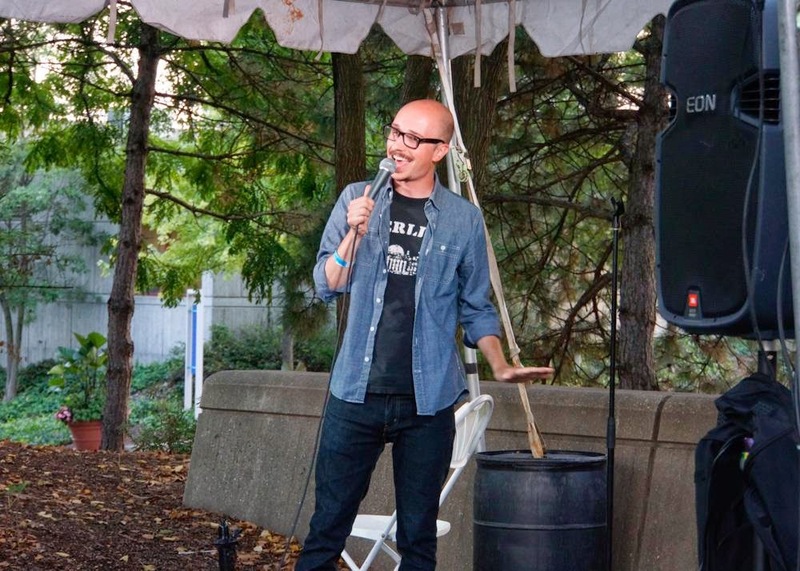 I had been doing comedy a fair amount of time in Cincinnati, so I moved to Chicago with the goal of just to get better at comedy. I wanted to get more time in, and more reps in before going to either New York or L.A.
Did you give yourself a time limit? I gave myself a cap of 2 years. If it was less, that was fine, and if it was more, I would cross that bridge when I came to it. Fortunately, a lot of positive things happened to me when I was here, so I felt like it was time to go after 2 years. How did you get on Last Comic Standing? A friend of mine just passed my name along to the producers. And out of the blue, I got an email from them asking me to audition in L.A. But, I didn’t get picked—I was actually an alternate. I was just fortunate enough that someone couldn’t do it, so I got to do it. How did the experience help you comedically? I think it made me less nervous for whatever comes next. Full disclosure, I was more nervous for that audition than I had been for anything in maybe my entire life. I drove myself with anxiety, I was shaking... [laughs] I mean, you’re in a room with Hollywood! But, I was THAT nervous and I STILL did well enough to be on the show. So, that gave me comfort and confidence in whatever comes next. How long had you been doing stand up before you got on Last Comic Standing? I’d say, from the first time I stepped on stage, it was about 7½ years. Out of 7½ years’ worth of material, how did you choose which best jokes to do in a three-minute audition set? Hm...it wasn’t as if I was picking from 7½ years’ of material because everything I did before I moved to Chicago, I had more or less thrown away. I write enough to where I’m throwing away older stuff pretty frequently. But, for the set, I picked what I felt were my best jokes and the jokes that I was most proud of. How do you feel about the material you chose for the show? In retrospect, I should have picked jokes that were shorter with more punches. Watching the show, the jokes they seemed to use were things they could cut into montages, things that were short—either 50 seconds or less to put into a clip. Would you do Last Comic Standing again if given the opportunity? I’ve asked myself that same question, and I don’t think I would. Yet, I wasn’t asked to do it again. But, watching the show and seeing what it turned out to be is something I don’t think I would have enjoyed going far in. At the same time, it’s hard turning down being on prime time television on NBC. So, if we’re being completely honest, I probably would say “Yes” to it again. But, never doing it again is not something that will keep me up at night. What was it like coming to Chicago from Cincinnati? What are some differences between the comedy scenes? Cincinnati only has 2 comedy clubs, so it’s smaller. 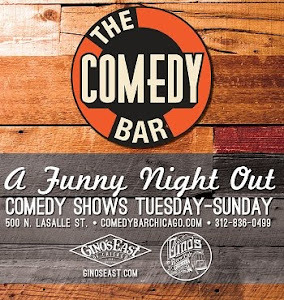 I was struck by how Chicago comedians are so comfortable and, in my opinion, so far along comedically. 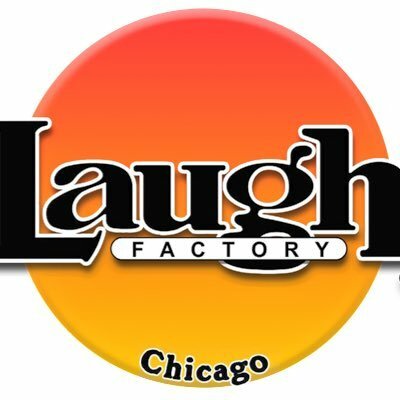 Doing comedy for 2 or 3 years in Chicago is like 5 or 6 years in Cincinnati—because you can get SO many more reps in Chicago. In Cincinnati, if you’re getting up 2 or 3 times a WEEK, you’re hustling and doing well. Therefore, it’s a slower evolution. What was it like being the new guy in the scene? I knew I had to start over. As much as I could, I tried to check my ego at the door and not worry about anything else. It was important to me to write every day and get up every night. I told myself that if I came to Chicago and didn’t make friends or didn’t get on shows, but was doing open mics and writing every day, then it was a success. How did you just block everything else out like that? I tried not to put a lot of value on doing showcases, or worry about if person A or person B thought I was funny. I tried not to make it about that in my own mind so that I wouldn’t lose my mind. It’s very easy to go crazy when you start over, screaming into an empty room that you’re good at this. If you focus on you and the things you can control, it makes everything a lot easier. How did you figure out who you are and what you want to talk about on stage? It was a long, grueling process for me. I feel like I didn’t really get good at this until about 4 years ago. For a while, my act was almost completely fiction, and it was just silly jokes. Then, I got influenced by the storytelling aspect, which is what I enjoy watching, and what I wanted to do. There is no singular moment that created this evolution of where I am now. It was just trying a lot of different things, and figuring out what works for me. I’m definitely a sit-down-and-write guy. I tried a lot of different ways. I knew people who would write on stage, and they were great at it, but I can’t do that. I’ve talked with people who free write, and pick out jokes that way. I tried that, but it didn’t work. In answer to your question, I sit down every day with an idea, and I write jokes on that idea. I’m very much into writing it out and having what I want to say prepared before I go up. Is there a particular time of day that works best for your writing? I try to do it a couple hours after I wake up. If I get into a rut and nothing comes out, I will try to write at night. But, I try to put as few rules and restrictions on it. I feel like the less pressure you put on yourself, the better it is for the process. It’s more about whenever I can get up and get going, I’ll go write. The act of doing it every day is what matters most. Having seen so much comedy, what type of comics still make you laugh? Someone who is comfortable. When someone knows what they’re doing, you can hear it in their voice. I look for that initially, and then I look for joke writing. Storytelling comedy is something I really like and enjoy, so someone who can tell a really good personal story. Also, if you’re doing something that is really you. Simply everything as much as you can. Focus on what you can control, which are writing as much as you can, performing as much as you can, and just getting as good as you can at stand up. And then, a lot of things will start to fall in place for you.